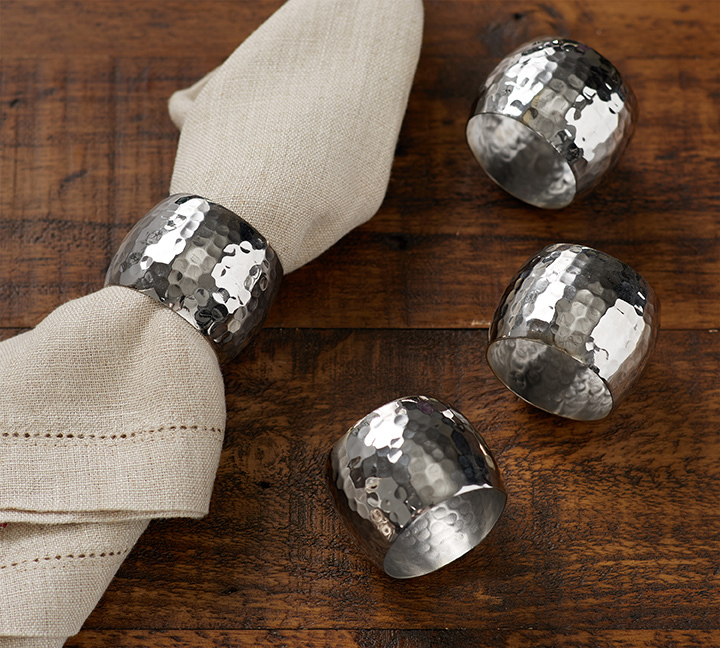 Dress your table with napkin rings that celebrate the season. 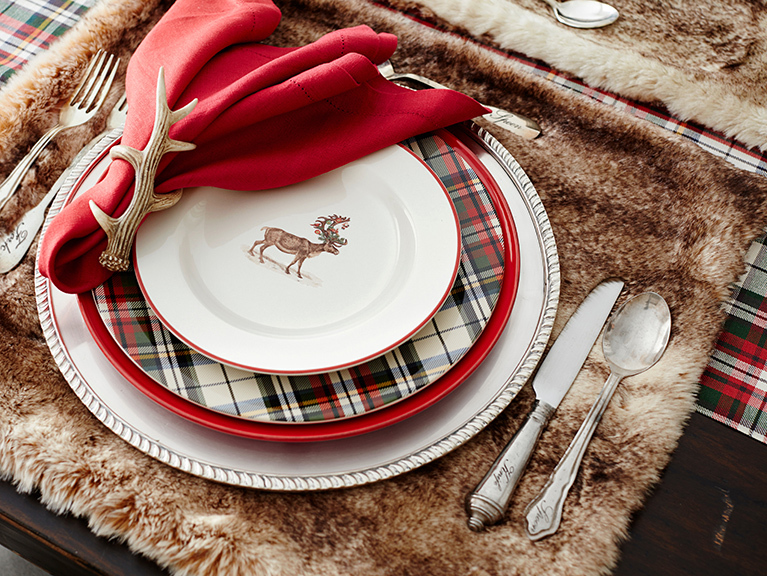 1 Antler napkin ring, available at Pottery Barn. 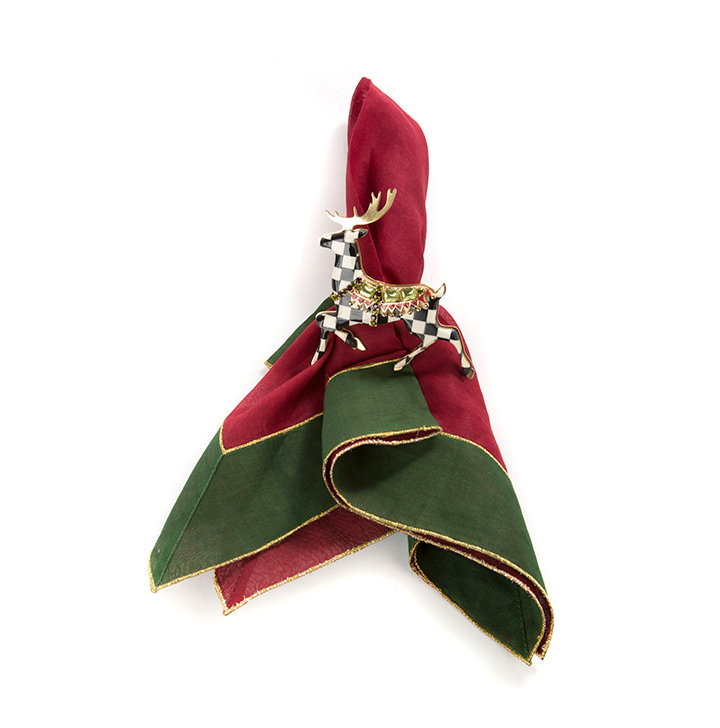 2 Prancer napkin ring, by MacKenzie-Childs, available at Three French Hens and B. Davis. 3 Feather napkin ring, available at House in Style. 4 Snowy pine cone napkin ring, available at The Jeweled Cottage. 5 Black and gold napkin rings, available at Imogene's 6 Burlap napkin ring, available at Marketplace at the Abbey. 7 Gold and pearl napkin ring, available at The Rusted Chandelier. 8 Antler napkin ring, available at House in Style.9 Poinsettia napkin ring, by MacKenzie–Childs, available at B. Davis and Three French Hens.10 Burlap flower napkin ring, available at Marketplace at the Abbey. 11 Glitter ornament napkin ring, available at Three French Hens. 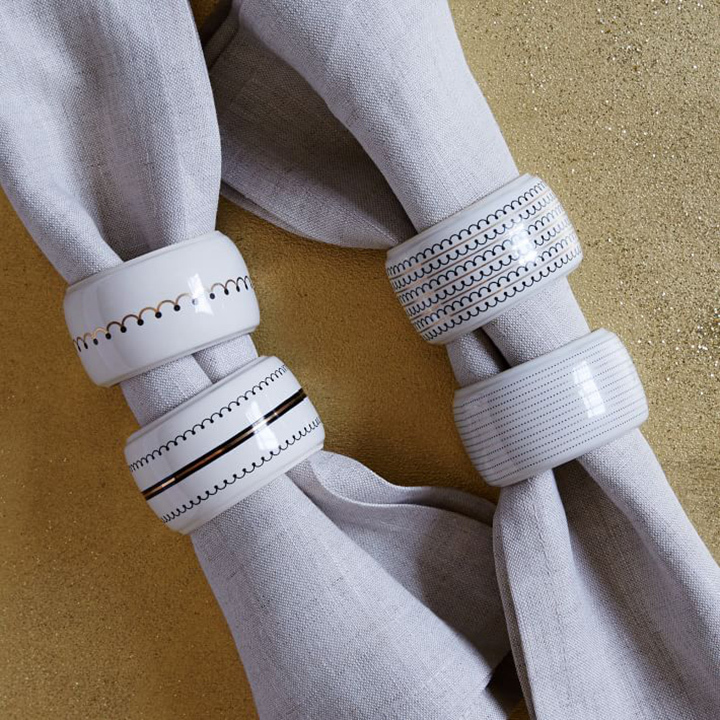 12 Twine napkin ring, available at Ace Hardware. 3 Feather napkin ring, available at House in Style. 4 Snowy pine cone napkin ring, available at The Jeweled Cottage. 5 Black and gold napkin rings, available at Imogene's. 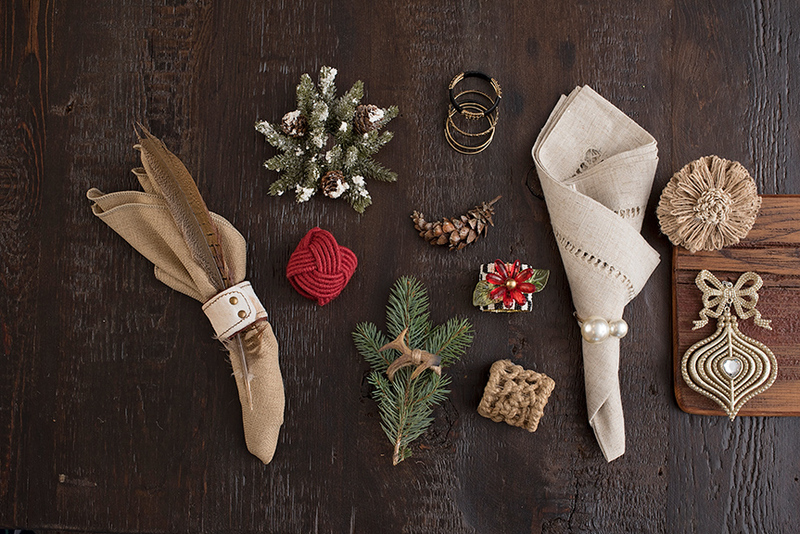 6 Burlap napkin ring, available at Marketplace at the Abbey. 7 Gold and pearl napkin ring, available at The Rusted Chandelier. 8 Antler napkin ring, available at House in Style. 9 Poinsettia napkin ring, by MacKenzie–Childs, available at B. Davis and Three French Hens. 10 Burlap flower napkin ring, available at Marketplace at the Abbey.